Grants of up to £500 are on offer to help County Durham’s community gardens grow. As part of the Royal Horticultural Society’s (RHS) It’s Your Neighbourhood campaign, Durham County Council is to offer the funding in an effort to encourage volunteer-led groups to take part in environmental projects. The community grant scheme, led by the council’s Civic Pride and Clean and Green teams, was set up to encourage small groups to get involved in the It’s Your Neighbourhood campaign. Projects must make a positive change to an area where people live, work or spend their leisure time and this year they must also involve the growing of edible plants. Potential schemes could include working with a local school, helping older people avoid social isolation or producing fresh food to support local charities. 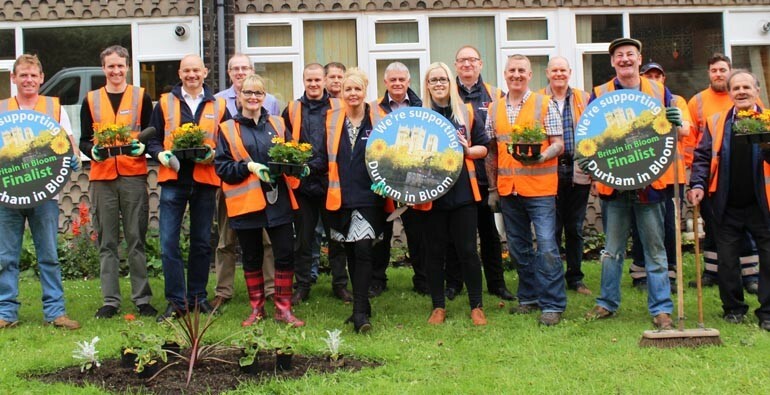 Ian Hoult, Durham County Council’s neighbourhood protection manager, said: “This is a fantastic opportunity for people to get together and spruce up their local area and perhaps even help others in their community. Earlier this year, residents of Grape Lane in Durham City were awarded funding to improve an open space on their estate. Volunteers used the cash to plant flowers and rejuvenate borders around grassed areas, with the project not only improving the appearance of the area but also encouraging the community to work together. As well as being entered into the RHS It’s Your Neighbourhood competition, the scheme helped secure Gold for Durham in the RHS Northumbria in Bloom competition, where the city was also named Overall Winner in the Champion of Champions category. Successful applicants will receive full support from the council’s Civic Pride team, from guidance on what to grow to the loaning of equipment and forming links with local schools. To receive funding from the scheme, groups must enter the RHS It’s Your Neighbourhood competition and grow some edible produce. Projects must take place during spring/summer 2017 in order to be eligible for a grant. For more information and details of how to apply, visit www.durham.gov.uk/civicpride, email [email protected] or call 03000 261 000. Applications open on Monday (October 3) and close on Friday November 11. Next article Reach out to hundreds of firms across Aycliffe Business Park!